A cat’s purr can light up your life, but while that blissful noise and sublime vibration tell you when she’s content, it can’t tell you when she’s sick. If only they could talk. 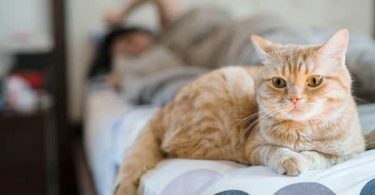 As a friend to a special feline, it’s up to you to know what affects their health, but the symptoms of illness in cats can be subtle and it’s not in their nature to complain. Safeguarding her health requires detective work, but by understanding the top health issues cats face, you can catch important clues. Here are the top threats you need to know about and how to do something about them. Despite your best efforts, just a few fleas can turn into a full-blown infestation in a matter of days. According to the pest control experts at Orkin, Ctenocephalides felis, the cat flea, is the most commonly found flea species in the United States. Just one female flea can lay up to 2,000 eggs in your home during it’s short six to eight-week lifespan, making even the most comprehensive parasite control program vulnerable to failure. While a few fleas may seem more like a nuisance than a health threat, the veterinarians at PetMD say allergy to flea bites is the most common cause of skin disease in cats. A single bite can cause a red, itchy rash that lasts for a week and results in hair loss, irritated skin and sometimes, secondary infections. Fleas also cause anemia, especially in kittens, senior cats, or those debilitated by other illnesses. Because blood is an adult flea’s food source, the 15 ml — or one tablespoon — extracted by each flea daily is significant when multiplied by the number of fleas infesting the cat. Over a few weeks, even a modest infestation can cause profound symptoms including weakness and pale skin and gums, and if that isn’t enough, fleas also transmit tapeworm, an intestinal parasite that robs cats of nutrients and can cause abdominal discomfort, diarrhea, vomiting, and weight loss. To search for fleas, look at areas on your cat’s body with little fur — especially the lower abdomen and around the ears. Live fleas are obvious, but they move quickly and can be tough to see. Instead, look for flea excrement. It’s made mostly of undigested blood and looks like coffee grounds when dry, but when wet, turns to a brownish-red color. If your cat doesn’t like baths, dab a moist cotton ball over an affected area. If your cat doesn’t feel well and you suspect fleas, see your veterinarian. Some over-the-counter treatments are too harsh for cats with anemia or skin rashes due to flea bite allergy and can do more harm than good. Your vet can help you understand how to get rid of fleas permanently and treat any associated illness. You can also read about home remedies to fight fleas. According to veterinarian Carolyn McDaniel of Cornell University, up to half of all cats seen in clinics are overweight or obese. Unfortunately, weight loss diets for cats have their own risks. Dr. Karen Becker wants owners to know that while people can safely go without food for extended periods, cats can’t. When calories are suddenly reduced, a cat’s body sends fat cells to the liver for conversion into energy, but because cats don’t metabolize fat effectively, it builds up in the liver, causing hepatic lipidosis, or fatty liver disease. Cats also have unique metabolic and behavioral needs, making the types of diets humans would use to lose weight potentially harmful. The best treatment for feline obesity is prevention, but if you suspect your cat is overweight, see your veterinarian for advice. You can read also about cat healthiest size and weight. Most cats over three years old have some degree of dental disease. Plaque, tartar, and gingivitis affect felines, as they do humans, in similar ways, however, because cats can’t go long periods without eating, a simple toothache can result in serious health complications. Studies also show that when untreated gingivitis evolves into periodontal disease, the effects are more than mouth deep. According to licensed veterinary technician Mary Berg, because plaque and tartar hold onto bacteria, they form what is essentially a reservoir of potentially harmful microorganisms that can affect the heart, kidneys, and liver. Bacteria originating in the mouth has been shown to cause serious systemic infections as well as insulin resistance that can eventually lead to diabetes. The best way to keep a cat’s mouth healthy is to brush their teeth regularly. This takes a little practice, but with a special finger brush and tasty kitty toothpaste, it’s less challenging than it seems. Tartar build-up, however, can’t be removed by brushing, so get a good start by visiting your veterinarian for a professional cleaning — this short YouTube video shows you how it’s done. But as cats age, kidney cells die, leaving these vital organs impaired. 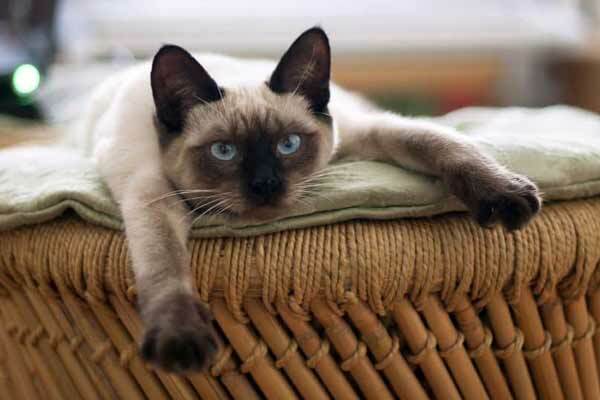 According to the professionals at VeterinaryExpert, there are many causes of kidney disease in cats, but up to 50 percent will be affected by what is known as chronic “idiopathic” renal insufficiency — that is, kidney failure without a clear cause beyond aging. Any cat over the age of six showing one or more of these signs should be evaluated by a veterinarian. Renal disease is diagnosed with lab work that determines if waste products are accumulating in a cats bloodstream as well as other simple tests. The good news is that if renal failure is caught early enough, a therapeutic lower-protein diet can help an affected cat live many more healthy years. The thyroid gland is located in the neck — on both sides of the trachea — and produces two hormones vital for metabolism. Hyperthyroidism, a condition in which too much hormone is produced, is most commonly caused by a benign tumor of the gland called an adenoma. Hyperthyroidism is easily detected, and there are several treatment options including diet, medication, and surgery, but according to Dr. Ernest Ward, up to a quarter of cats with hyperthyroidism develop blood pressure so high that it can cause heart disease and blindness, making it important to catch symptoms quickly. Diabetes is a condition in which either pancreas doesn’t produce enough insulin or the cells in the body become less sensitive to its effects. Either way, it means that a cat’s body is unable to extract energy from food, resulting in an excess of glucose in the bloodstream and a weak, tired feline. Unfortunately, although obesity is rarely the sole cause of diabetes, it is causing an increase in incidence nationwide and is now the second most common endocrine disorder after hyperthyroidism. Unlike humans, an oral treatment for diabetes is typically ineffective for cats, making insulin the treatment of choice. With guidance from a veterinarian, most people can be successfully taught to check their cat’s blood sugar and give injections at home. Cats are obligate carnivores, meaning they need to eat meat to survive. Unwanted carbohydrates in the form of grains are added to many commercial diets to decrease costs, and in the case of a cat with diabetes, that’s a problem. If your cat is overweight, your veterinarian will prescribe slow, steady weight loss with a higher protein diet. If your cat is underweight, as some are after the weight loss associated with diabetes, a weight gain program may be recommended. Feline lower urinary tract disease (FLUTD), refers to a range of disorders that can chronically affect a cat’s urinary tract, but according to the American Veterinary Medical Association, bacterial infection is presently less than five percent of the time in cats under 10 years of age. Bladder infections do happen, and it’s important to treat them and address their root causes, but the most dangerous issue associated with FLUTD is a urethral obstruction. If the urethra — the tube that drains urine from the bladder — becomes blocked, it leads to kidney failure, electrolyte imbalance, and heart failure, resulting in death in a few as 48 hours without intervention. The cause of blockage is typically crystals. These are the same types of crystalline structures that can bind together to form larger bladder stones, but in this case, they’re small and tend to obstruct the urethra when they pass through in urine. Crystals, in addition to irritation and inflammation of the urethra and other materials like mucus and minerals, create urethral plugs that cannot be cleared without treatment — especially in male cats who have a smaller diameter urethra. Veterinarians aren’t sure. However, once a cat has a single bout with it, it’s likely to happen again within the first year and that can be frustrating. • Ask your veterinarian about the best diet. Research isn’t entirely clear about what cats prone to FLUTD should eat, but some studies point to canned food is better than dry kibble. If your cat has been affected by an obstruction more than once, a special food that helps decrease the formation of crystals may be recommended. • Encourage regular water consumption by providing fresh clean water at least twice daily. If your cat goes outdoors, make sure water doesn’t freeze by replacing it frequently or investing in a heated bowl. • Reduce litter box stress by keeping boxes in quiet areas. • Scoop litter boxes daily, and clean them whenever odor builds up. • Offer multiple boxes. In a multi-cat household, one box per cat is best. • Keep your cat’s weight under control. • Avoid changes in routine that could be stressful to the cat. This includes bringing home new pets, changing the type of cat litter used or moving litter boxes. Cats have valued companions that can bring immeasurable joy to your life, but they depend on you for their well-being. What you’ve learned today is a good start, but cultivating a good working relationship with your veterinarian and consistently staying on top of the many health issues that could affect your cat are the keys to many long and happy years together.